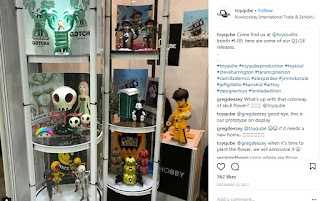 A new sneak peek of Camilla d'Errico's upcoming toy collaboration with Toyqube has surfaced! 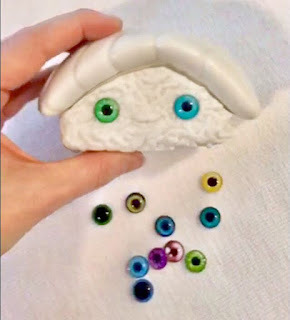 Camilla's most recent designer toy release, as part of J*Ryu x Kidrobot's Arcane Divination series, was a little bit of a darker tone overall. So seeing this cute little sushi getting set for 2018's table is a nice contrast. 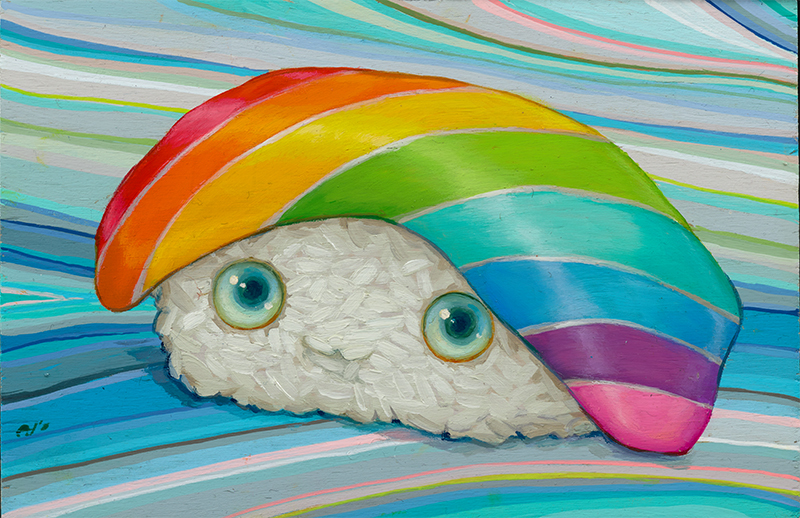 This little morsel is based on a painting by the same title, Rainbow Roll. 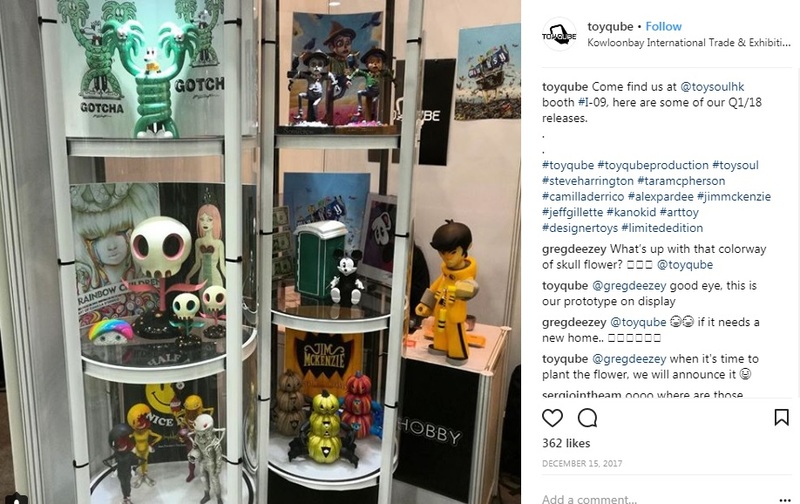 And looks to have been recently previewed as a prototype at December 2017's Hong Kong Toy Con. With a 2018 projected release date for these cuties getting served up, it'll be the first time I'm looking forward to some foodpics!